Hands up who drank their weight in prosecco over the bank holiday? Yup, us too. It's difficult to remember a time when we weren't all obsessed with the 'champagne dupe' - after all it's much cheaper than its posh counterpart, it's fizzy AF and it's highly Instagrammable - and what more could you possibly want from an alcoholic beverage, eh? So the news that it's ruining our dental health isn't exactly music to our ears. Speaking to Mail Online, Dr Mervyn Druian, of the London Centre for Cosmetic Dentistry, explained, "Carbonated beverages get their fizz from the release of carbon dioxide, which dissolves into carbonic acid. This provides a refreshing taste but also makes these drinks more acidic. Added to that, prosecco comes with about one teaspoon of sugar per flute." Yikes! "The signs of prosecco smile are where the teeth come out of the gum. It starts with a white line just below the gum, which if you probe it is a little bit soft, and that is the beginning of tooth decay which can lead to fillings and dental work." But dry those eyes for a second, because there's no need to give it up for good just yet, you can, however, tweak your guzzling habits to minimise the damage done. 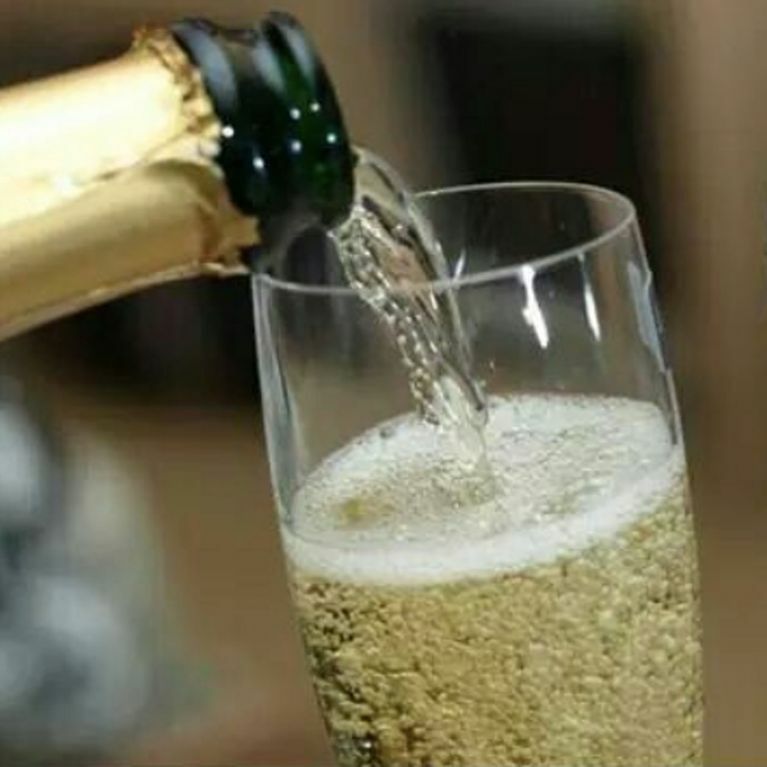 Dr Richard Coates, of Riveredge Cosmetic Dentistry in Sunderland and Newcastle, also revealed: "Prosecco has a PH of just 3.25, making it similarly acidic to fizzy drinks, and weakens tooth enamel, which can then be damaged further if people brush their teeth too soon after drinking it. It may not look very cool but drinking it through a straw rather than a glass can protect teeth. "The main solution is to make sure that you don’t over indulge by drinking more than a couple of glasses at any one time. People should wait a few hours before brushing their teeth if they’ve been drinking prosecco to give the enamel time to harden." If the thought of a rotting smile has shocked you into quitting the bubbles, why not get your fizz fix in the form of prosecco flavoured nail polish instead? Will this put you off drinking prosecco? Let us know your thoughts @SoFeminineUK!